You guys!!! How have you been? Has your August been as busy as ours? Ca.Ray.Zee. Today I’m gonna talk a bit about rugs galore okay? Okay! 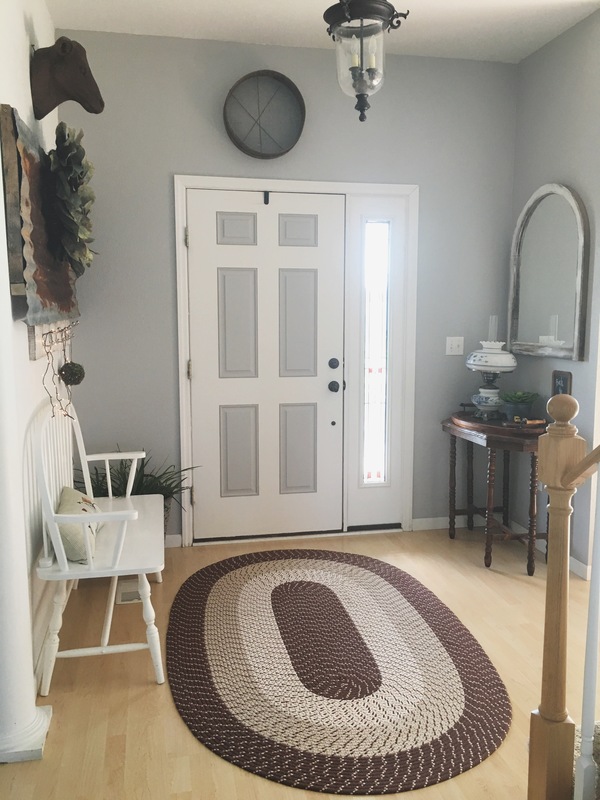 I am totally in love with this new rug in our entry. Sometimes I buy new things and they have to grow on me. They have to woo my standoffish heart. Not so in this case. 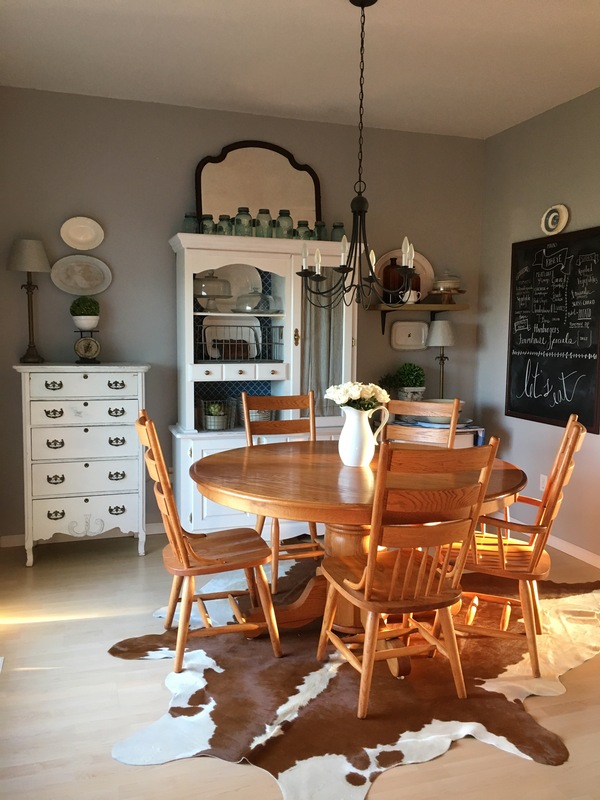 It’s crazy…this is the first braided farmhouse rug that we have had at the Farmhouse. What is the dealeo? 😉 Anyway…we are all loving this one. It came from a local shop and was a great deal!!! Well…that is my rug rambling! Leave me a comment and tell me all about your summer finds!!! I loooooove to read your comments. Hey Guys! Come on in for a bit. I thought that we would just chat a little today about Cozy Is On It’s Way. Here in Southern Missouri we are feeling thankful for that fact. Yes…it’s the first of August…but hopefully by the end of next month…the humidity will have let up a bit. 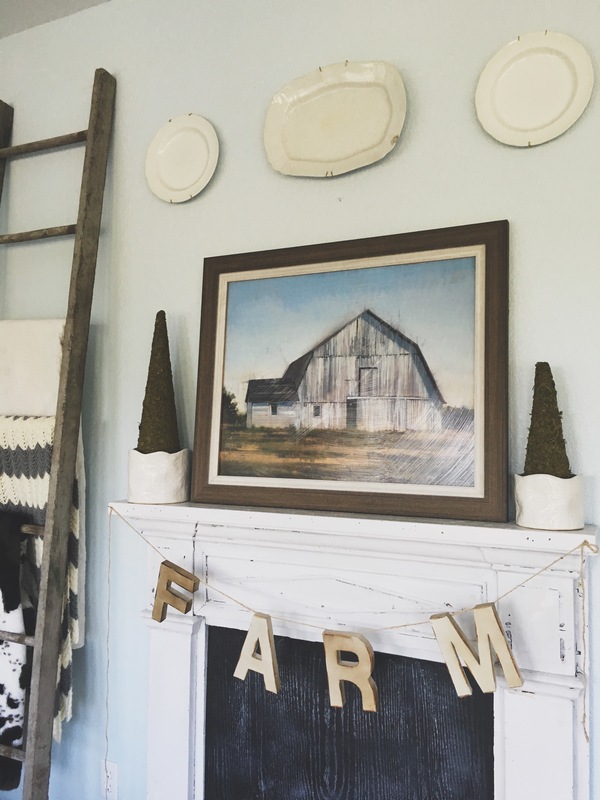 By the way…I already have this wreath hanging on the front door of The Farmhouse. I loved it the minute I laid eyes on it. Cozy to the core. Do you guys have a Rae Dunn collection going? 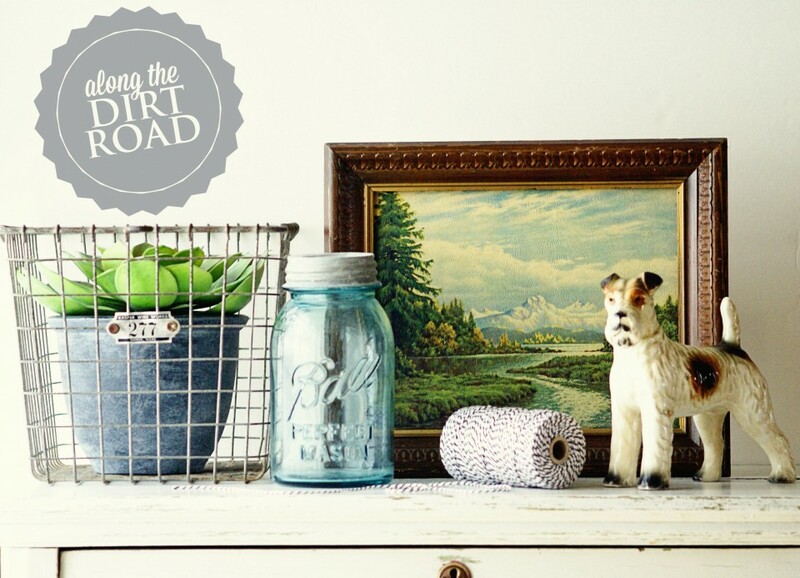 I am a sucker for pottery of any shape or form…so I love hunting for these mugs. This summer I stashed them in an old locker basket. So fun. I am actually having a cup of hot tea now. It’s a blend of organic rose, lavender, and chamomile. It’s very good. I know…you probably think I’m crazy…but it’s cold in here with the a/c. I’m telling ya…around this time of year, thoughts of fall are very exciting. I need to round up the few little things that I put out for the kids when it’s Back to School time. I have also been using Mulled Cider wax in the warmer. Our whole family loves it. If you follow along on Instagram…you have probably noticed a nod toward the cozy part of the year. The new black and white plaid curtains in our red room (It used to be red. lol!) are wonderfully cozy. We also have a new braided rug in our entry. 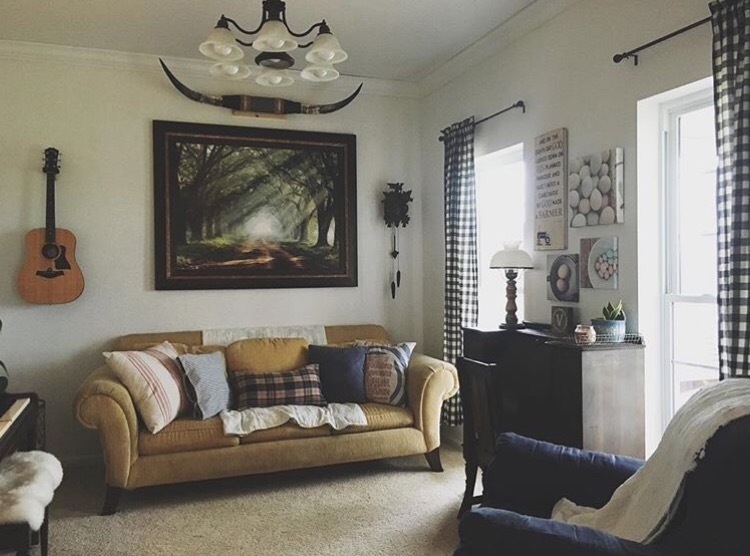 I really do love summer and all of it’s fun…but as a homemaker…the cozy time of year just makes me feel all warm and fuzzy inside. Kind of like this hot cup of tea.